They rarely take centre stage, but a good sauce or dressing makes all the difference to a dish. 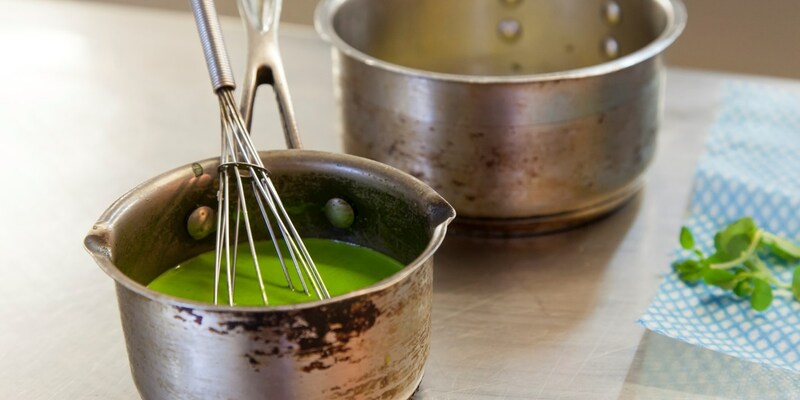 Contrasting with or complementing the other ingredients on the plate, sauces and dressings bring flavours to life with their zingy, soothing or intensely savoury taste. If your dinner tastes a little flat or you feel it’s missing something, there’s a good chance there’s either not enough sauce or too little dressing. Salads are just a pile of leaves until they’re adorned with a vinaigrette; most sandwiches are far too dry without some mayonnaise and a good gravy can transform a Sunday dinner into something truly incredible. And when it comes to desserts, custard, ganache, caramel and crème pâtissière open up a world of flavour. Being able to make all these from scratch at home is the key to being a fantastic cook.